Gymnasium Equipment - D.V. Brown & Associates, Inc. Gymnasium Equipment - D.V. Brown & Associates, Inc.
D.V. 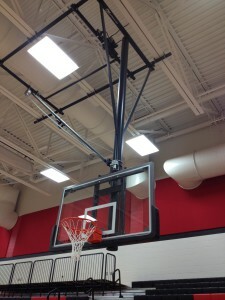 Brown Associates, Inc. (“DVB”) offers a wide range of gymnasium equipment. 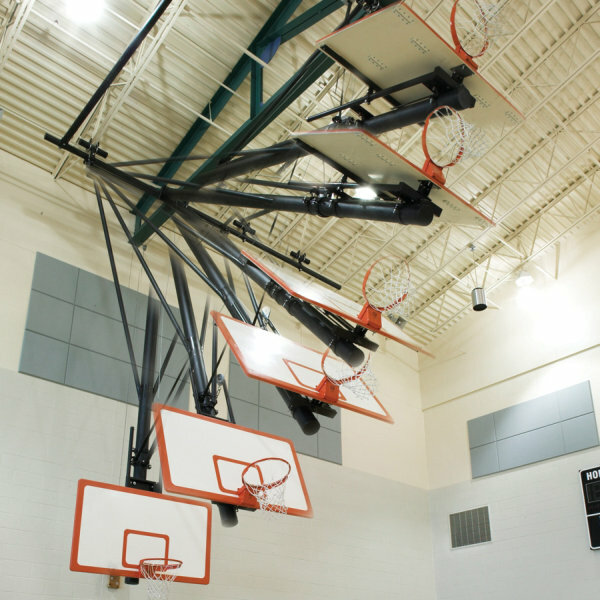 From basketball backstops, divider curtains, to wall pads and more, we will work with you to customize the project to accommodate the branding of your facility, while providing safe and user friendly equipment. 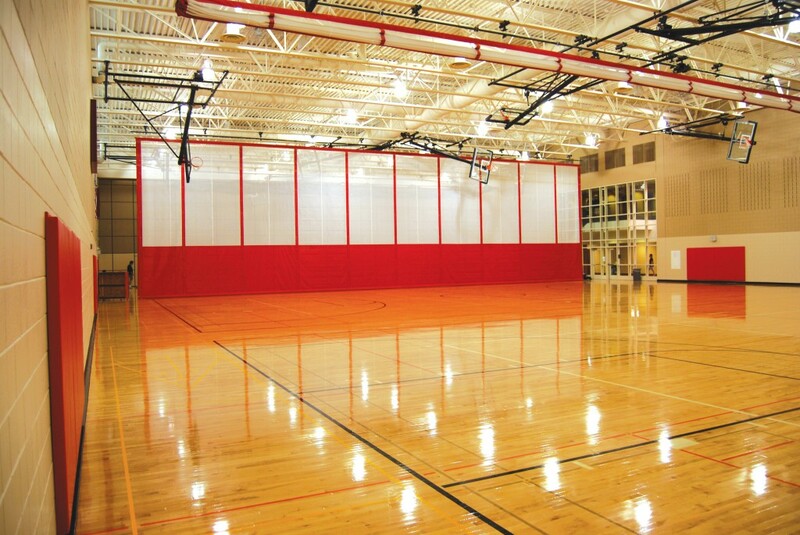 Gym wall padding provides heavy-duty protection for indoor impact areas. 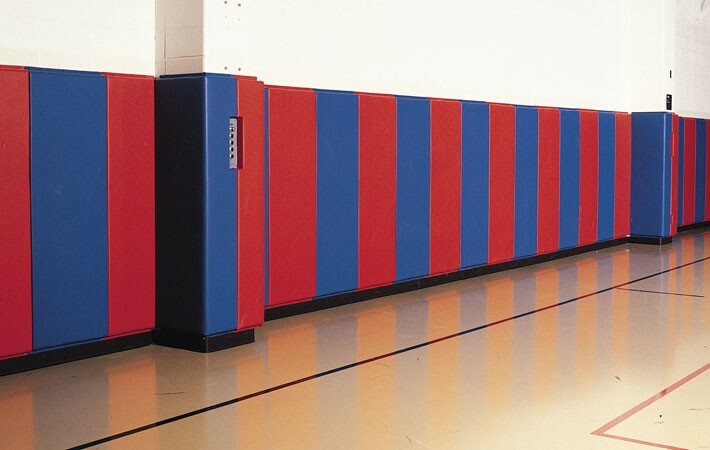 They are ideal for basketball courts, gymnastics areas, wrestling rooms, rehabilitation centers, or any other surface area where padding is needed. Pads can be customized to fit any shape or size, from columns and beams to doors and stage fronts. Round post pads without waferboard backing are available. DVB also provides large scale graphics wall pads, that allow mascot prints, full-color photo, sponsor advertising, or any other graphics of your choosing. Our gym dividers can be made using either solid vinyl or mesh vinyl curtain materials. They can be shaped into the following forms: ridge-fold, radius-fold, top-fold, roll-up, fold-up, walk-draw. DVB will work with you to assess the facility use, and recommend a divider that would be the most practical for the space. Our basketball equipment is sturdy, aesthetically pleasing and customized to meet your gymnasiums’ specifications. We offer Ceiling-Suspended and Wall Mounted Backstops that are secure and durable. We also offer Portable Basketball Systems. Competition styling, an official-sized glass backboard and break away goal makes our portable backstops a safe and affordable choice for facilities looking for premium competition court and side court systems. Low-maintenance extension spring technology design makes one-person setup and height adjustment quick and easy. Professional, recreational and economical volleyball systems are safe and durable from post to net. Our volleyball nets can be sized to fit any gymnasium, and can withstand even the most forceful blow. We offer an assortment of diversified gym equipment, and can be assimilated into any gymnasium. This includes: soccer goals, football goalposts, physical education equipment, mat lifters, projection screens and window shades. We also offer educational equipment, including: chalkboards, bulletin boards, display cases, directory boards, LCS liquid chalk writing systems, lecterns, fire extinguishers, cabinets, access panels, video projection equipment, and conference room furniture. Contact DVB to discuss all of your gymnasium equipment and furnishing needs.